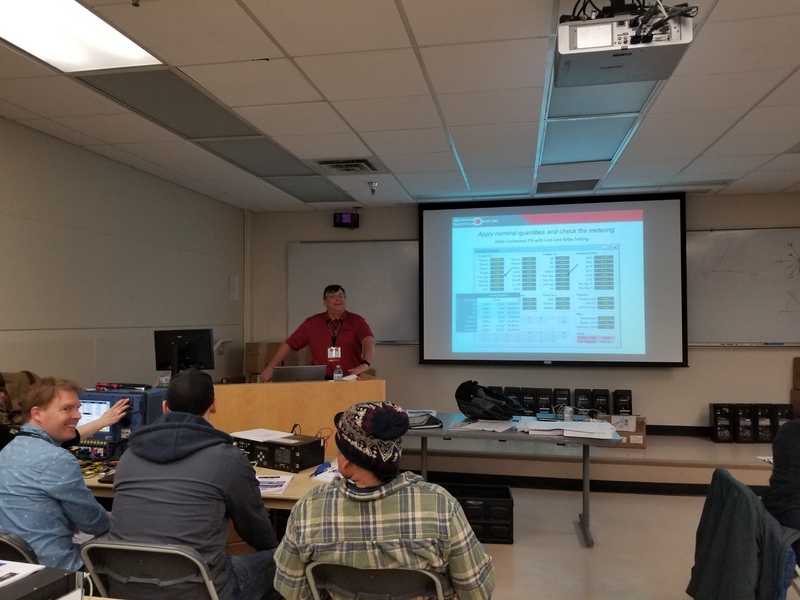 Largo, Florida – March 20, 2019 – Last week, Washington State University located in Pullman, WA, conducted its 36th annual Hands-On Relay School. The event provides a balance of system protection theory and testing training for P&C Technicians and Engineers. Both Drew Welton, VP of sales and Creative Technical Solutions, and Wayne Hartmann, Senior VP of Customer Excellence, instructed lab sessions on Transformer protection (M-3311A Relay), Generator Protection (M-3425A Relay) and Distribution Protection (M-7651A Relay as a DER Interconnection Relay). In addition, Beckwith Electric conducted a marathon 8-hour “DER Operation, Control, Protection and Impact on VVO Theory” super session. Sessions were well attended and favorable comments from the WSU Committee and Attendees were made. This was Drew and Wayne’s fourth year in a row as instructors at the event. If you would like to have this information delivered at your Company, please contact us to learn more. Drew Welton and attendees having a lighter moment during the Generator Protection (Beckwith M-3425A) Relay lab session. Drew was explaining how the metering screens help to spot incorrect test connections, as well as installed wiring errors. 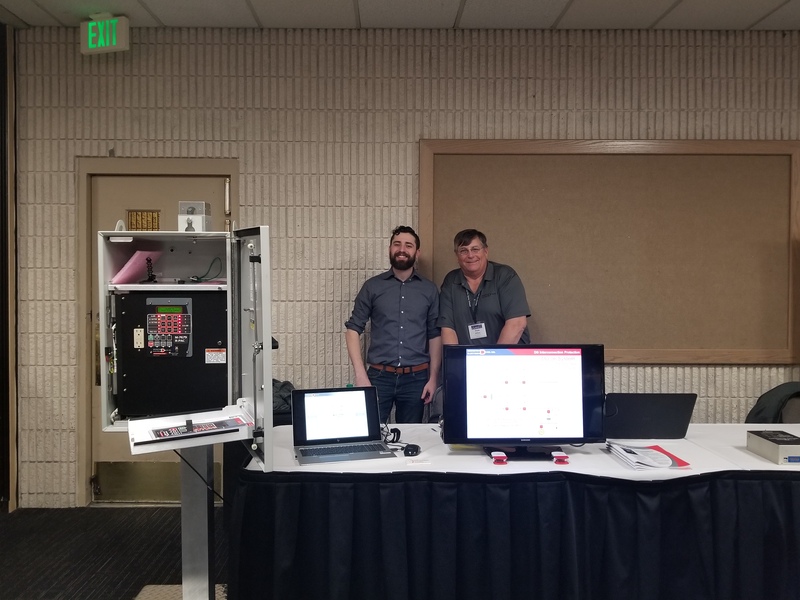 Drew Welton and Beckwith Electric’s Representative in the Northwest, Daniel Nelmar of McLaren, manning the Beckwith Electric display at the Vendor Expo. Showcasing the M-7679 R-PAC that is applicable in both new and retrofit applications. For retrofit, direct easy replacement chassis are available for popular legacy recloser controls. This allows upgrading to the latest communication and cyber security standards for advanced FLISR applications. 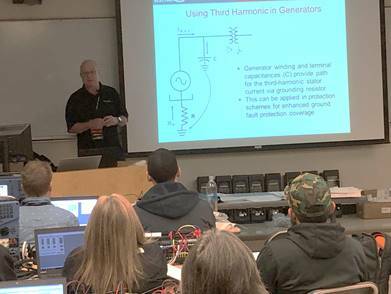 Wayne Hartmann, Senior VP of Customer Excellence, explaining to the attendees in the Generation Protection Lab (Beckwith M-3425A) how 3rd harmonics circulate in through the generator ground due to capacitance to ground of the generator, isophase, surge capacitors and GSU low voltage winding.